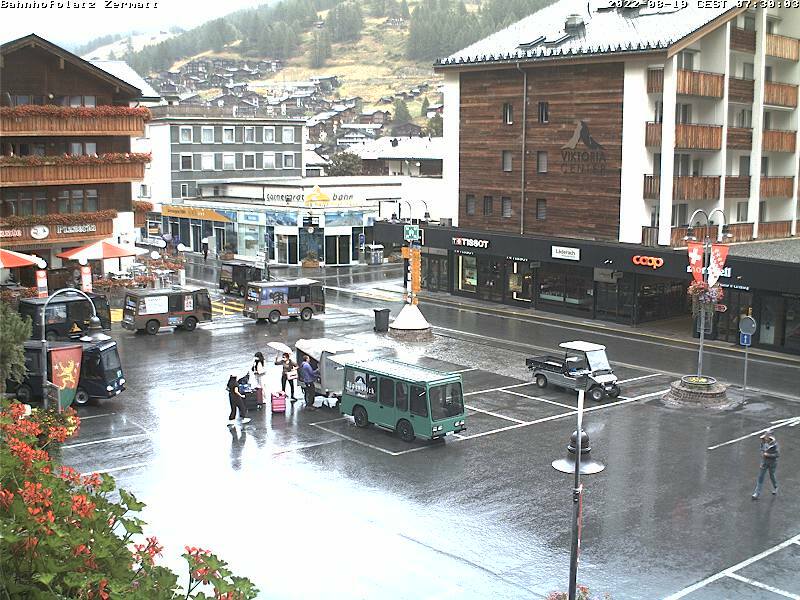 Webcam in the village centre, in auto-free Zermatt. With electric vehicles and pedestrians. Northeast view.